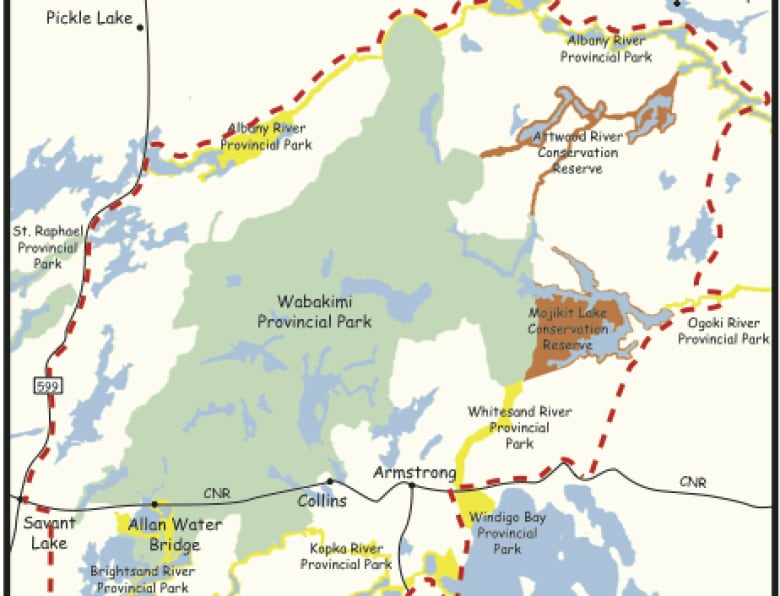 The Wabakimi Project is a grassroots effort to map the historic canoe routes that run through Wabakimi Provincial Park, before the trails are lost. Each Friday, from late May until mid-September, a new group of people arrive at Phil Cotton's home in Thunder Bay, Ont. armed with backpacks and sleeping bags. This where they'll load up on a weeks worth of food and supplies, and meet the rest of their team before driving north to an air base in Armstrong, and then flying into a remote area of the boreal forest. They come from all over Canada and the United States to volunteer with The Wabakimi Project, a grassroots effort to map the historic canoe routes that run like veins within and around the vast area of Wabakimi Provincial Park. "Most of the people come because they really believe that the canoe routes themselves are of value to our society," said Phil Cotton, who founded the project in 2004. At the time, Cotton was concerned that a lack of updated information about canoe routes, portages and campsites in the park was keeping paddlers away, because the Ministry of Natural Resources no longer had the means to map and maintain them all. Worried that the routes would simply be lost, he decided to take on the task himself. "I think the day has come in issues such as the Wabakimi Project, that volunteerism is the answer," he said. At 75, Cotton no longer embarks on the trips himself, but over the past decade, close to 200 volunteers have travelled north to help with the mapping project. Cotton spends his days pouring over historic Hudson Bay Company records dating back to the 1700s, looking for old routes. Then he sends out his teams. "I had always wanted to do a trip in Wabakimi, but I could never get any really accurate information on portages and the routes," said Carey Keller, from Toronto, who started volunteering with the project in 2006. When he stumbled across the Wabakimi Project online, he decided to give it a try. "I've been coming back every year ever since," he said. Armed with Cotton's historic maps, the four-person teams head out week-by-week throughout the summer. They work like a relay race team, each one picking up where the last left off along the route. Along the way the scenery is beautiful, and the fishing is good, but volunteers also enjoy the connection to history. "Sometimes we'll see these ancient blazes on the sides of trees, and it makes you wonder who made that blaze, how long ago," said Keller. "And there's something really quite interesting about it, you know, that maybe you're the first one who's been there in 50 or 100 years." Once the volunteers return, the updated information they've collected is passed onto the team's map maker. The finished maps are compiled into booklets, organized by watershed. So far, four booklets have been published, documenting thousands of kilometres of trails within, and adjacent to the park. The fifth and final book of maps is currently being worked on, but the project will not be abandoned. Several years ago, Cotton also established Friends of Wabakimi, a non-profit that will be responsible for maintaining the routes for future generations. Cotton believes its made a "tremendous difference" for both the future of the park, and paddlers. When he speaks at paddling shows and events, the reaction to the maps is "oh wow — finally somebody's done something," he said. Wabakimi adventure winners arrive in Thunder Bay for trip of a lifetime.